The manbug is a great size for the keyring. The blade is still large enough to do most chores that many of us do during the day- opening boxes, opening other containers, cutting the occasional fruit or vegetable, wire or whatever. This version with the ZDP-189 steel is really great. This steel seems to hold an edge for a very long time. Also, it seems to take a really great edge- it gets sharp. 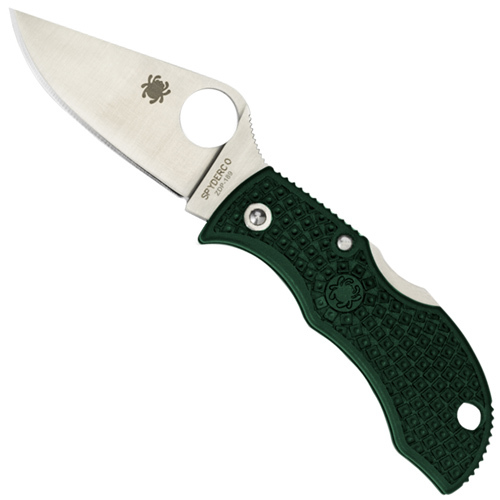 We like this offering from the creative folks at Spyderco and think you will, too. When compared to the Spyderco Ladybug, the Manbug is a contrast in gender-related differences. It is thicker and more robust than the thinner, lighter Ladybug. 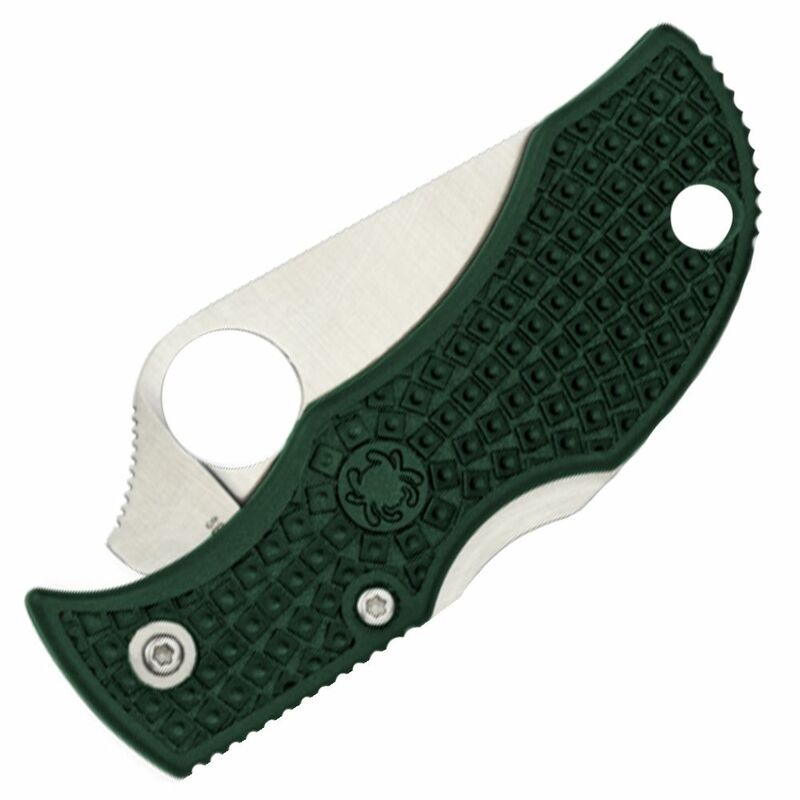 The ZDP-189 modified clip-point blade is fully flat-ground. Precise alignment of the Spyderco Round Hole in relation to the pivot and the backlock, allows for smooth one-hand opening. Clipless.